Got a question, wrote an answer. This is a very fundamental one on black keys on the piano, but nonetheless important to the bassist. Without a clear understanding how notes relate to each other it is too hard to understand theory and use it. Get the fundamentals under your belt, it’s important! And, very straightforward, actually. I am guessing that the questioner is a pianist. 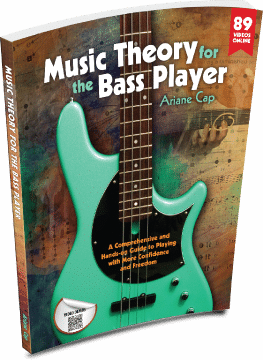 Typically bassists sorting out notes and note relationships will have slightly different assumptions that sometimes lead them down confusing paths, so it is great to use the piano’s visuals to grasp this. The piano is color coded and it is easy to assume that all black keys have an accidental but none of the white keys do. Of course that is not the case. All white keys have a sharp AND a flat name as well. I love games that involve figuring out note names. Read my answer for some ideas. If you are teaching, these are absolutely great for all ages. If you cannot see the text box below in your browser, click here for the article.